More than 200 adults accompanied each year. With more than 130 qualified and tested teachers on staff, Cours at Home proposes a complete learning experince in Luxembourgish, English, German, French, Spanish, Italian and Dutch, whether you are a beginning, an intermediate or an more advanced learner. Do you need to prepare for a standardized test? We have the solution! 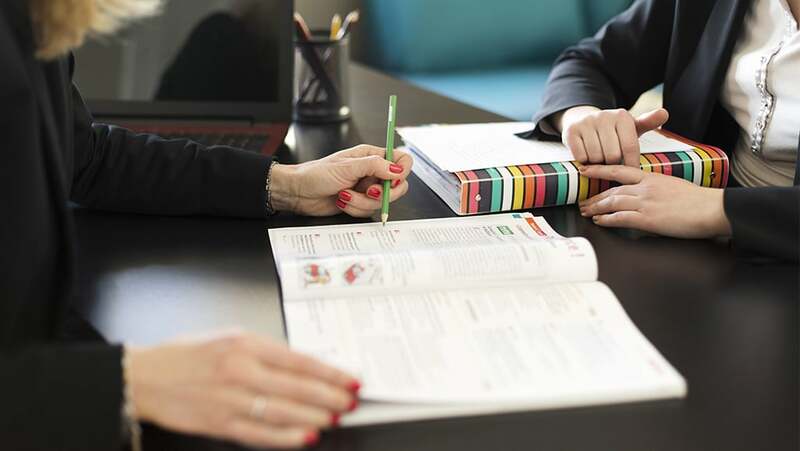 Whether you want to pass the Luxembourgish test to obtain the Luxembourgish nationality, take the State Bar Examination, or pass the TOEFL, TOEIC, IELTS or the DALF exams, our teachers are there to accompany you on your way to success using our proven pedagogy and subject expertise. All our packages are completely adaptable and can be personalized according to your professional needs. You are free to choose the days, time and frequency of your lessons. Methods adapted to the adult learner. For our adult learners, we choose the most qualified instructors particularly experienced in adult education. Teachers are chosen according to your very own needs. We give preference to native speakers in order to assure high quality language courses for our clients. English, German, French, Luxembourgish: we can propose a large choice of language courses with flexible formulas comprising 10 to 40 course hours entirely adapted to your needs. Nothing is more satisfying than guiding my students towards improved proficiency in English. The self-confidence that they regain through their efforts is the proof that regardless the educational system, they can acquire the necessary skills to improve regularly. These skills will serve them a lifetime. Teaching English in this multi-language environment provides me with the possibility to share my expertise and make a difference to my students, be they adolescents or adults. The different assignments from Cours at Home has allowed me to meet many different people of all ages with varying needs. I attach just as much importance to a learner’s academic follow-up as I do to their psychological well-being. I help students prepare for tests such as TESOL, B2… and I also assist adults in their quest to improve their language abilities. I particularly appreciate teaching the semantic niceties of German which is one the 3 official languages in Luxembourg. By using news methods and adapted exercices I’m glad to note the progress of my students and their involvement in learning a new language. I hold a B.A. in History and Germanic Studies from Indiana University, Bloomington and speak German, French, Luxembourgish in addition to my native English. After earning my certification as an ESL/ESOL Teacher I began my enriching relationship with Cours@Home. My educational background : Master’s degree in English, Master’s degree in Applied Linguistics for English as a foreign language from Indiana University Bloomington Indiana USA. Graduate in business administration, NLP Master, and certified as a European Business Coach.